We have driven past this monument in the Half Moon Bay section of Barrhaven many times, and I’ve always been curious about it. Last night after swimming lessons, Lucas and I decided to head over to check it out up close. 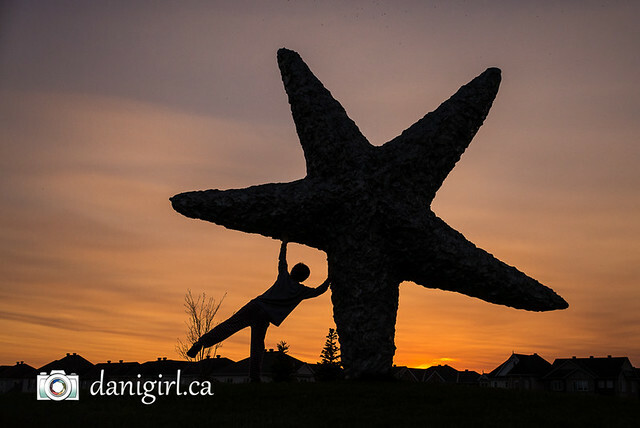 Today’s lesson is that if you have the chance to chase a falling star with a lively eight-year-old at sunset on a pretty late spring evening, you should absolutely do it! So glad you shared this bit of whimsy!